Comment: Location is a suburban condo with an elevator and everything is on the same floor - no stairs. There are 3-4 small stains from food or a metal plant stand. Of note, two places there are dark stains on the edges of the carpet from dust that comes in from the air currents (I think it is filtration soil) - don't reply if you don't have an answer for that, as it is the biggest issue I have. There is an L shape living/dining room combination; hall; small bedroom (there is another bedroom but that carpet is new). Carpet is beige. I will move what I can but not everything. Comment: Wool area rug. Stained in areas. Comment: I have carpeted stairs, and then a variety of rugs and remnant pieces in various rooms that need cleaning. Comment: There is a stain on the carpet area from the living room down and the hall. Something was spilled. Comment: I need to have the sheer curtains taken down and cleaned then rehung. Swarthmore Carpet Cleaning Services are rated 4.78 out of 5 based on 198 reviews of 14 pros. 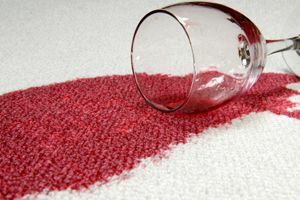 Not Looking for Carpet & Upholstery Cleaning Contractors in Swarthmore, PA?